Some school districts in Vermont are having a hard time finding school resource officers to patrol their hallways. Security experts say it's a difficult job, compounded by the fact that many law enforcement agencies are understaffed. In the year since Jack Sawyer was arrested for allegedly plotting to shoot up Fair Haven Union High School, improving school security has been a statewide priority. Many believe school resource officers play an important role - patrolling the hallways and forming relationships with students. But some school districts are having trouble finding them. For example, the school resource officer who worked for years at Otter Valley Union High School retired last June. That officer had been a member of the Brandon Police Department. Jeanne Collins, superintendent of the Rutland Northeast Supervisory Union, said they haven’t been able to find a replacement. In Vermont, school resource officers are typically members of a local police or county sheriff’s department. School districts contract with those agencies to pay for police services on school grounds. What those services look like exactly depends on what the school wants. 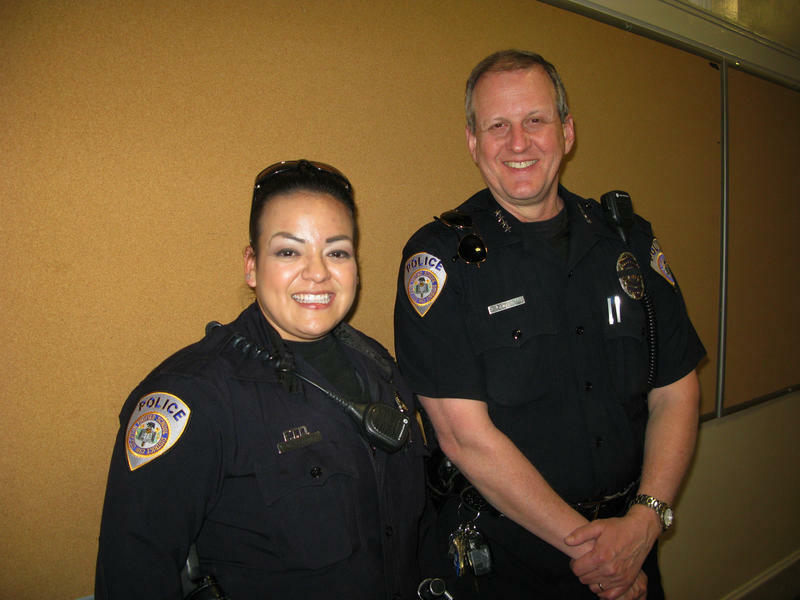 Mac Hardy, director of operations at the National Association of School Resource Officers, said that in addition to being cops, SROs are informal counselors and educators who build relationships with students and teach them about the law. But they come to work armed, and Hardy says they have to be ready to act. “I worked inside the school for 20 years," Handy said. "And every day when I woke up and put on my duty belt I thought, 'This could be the day when someone comes into my school and tries to do harm to the students that I care for and that I protect.'" It’s a difficult job, which is why he said many communities nationwide are having difficulty finding SROs. Security experts in Vermont say there are approximately 400 public, private and independent schools. Only about 35 to 40 full-time school resource officers are working in them. “In Rutland County right now I could use three more school resource officers, one for Otter Valley, one for West Rutland and one for Proctor," Rutland County Sheriff Stephen Benard said. Part of the problem is that many police departments in Vermont and nationwide say they are understaffed. On the Vermont State Police Academy website, there are more than 50 job postings for officers across the state. Benard said that after taking after aptitude and required polygraph tests, only about 20 percent of candidates who apply to his department get hired. Finding seasoned officers who want to work with kids inside schools is even harder he said. Brandon Police Chief Christopher Brickell agreed. “For me to put someone in the school, it has to be someone that has a decent level of experience, one, in law enforcement, number two, specifically with juvenile law, and three, someone that can work unsupervised," Brickell said. Lamoille County Sheriff Roger Marcoux Jr. said rural law enforcement agencies like his often deal with high staff turnover. He said officers get certified and work for a few years in a small department like his, but then transfer to the state police or a larger agency for better pay or benefits. Funding is another hurdle. Many schools may want a school resource officer, but Marcoux said in his part of Vermont, few districts can afford them. In response, the National Association of School Resource Officers provides training for school security officers – SSOs. These are not sworn police officers, but more like private security guards who might cost less or work more flexible hours. Rob Evans, Vermont’s school safety liaison officer, said SSOs might include retired police officers aspiring police officers, or somebody from the community who takes an interest in the schools. He likes the idea of SSOs as long as the training and vetting is carefully controlled. You can’t just walk into Springfield High School: There's a camera trained on the front door — which is locked — all part of the school's security plan. And that's just the beginning. Ever since the Newtown, Ct., school shooting, there's been a raging debate over how to keep America's schoolchildren safe. National Rifle Association CEO Wayne LaPierre proposed stationing an armed guard in every school in the country. Critics said that idea was impractical and would be too expensive to carry out. But many schools and school districts already have armed police officers. Since the Columbine High School massacre in 1999, about one-third of the schools in the U.S. have added some kind of armed security, according to federal data. As the country was reeling from the news of a deadly shooting in Parkland, Florida last week, Vermont State Police released news that a similar event may have been thwarted at Fair Haven Union High School.